On June 19, 2018, Canadian Prime Minister Justin Trudeau announced through his Twitter account that the Senate passed a law legalizing cannabis for recreational, adult-use consumption. The tweet acted as the shot from a pistol before a race. Thousands of wishful companies were thrown into a four-month-long flurry of competition for the limited number of licenses available across the country before the law came into effect October 17, 2018. So, how do you find the dispensaries, growers, brands, and ancillary companies that stand out from the pack? 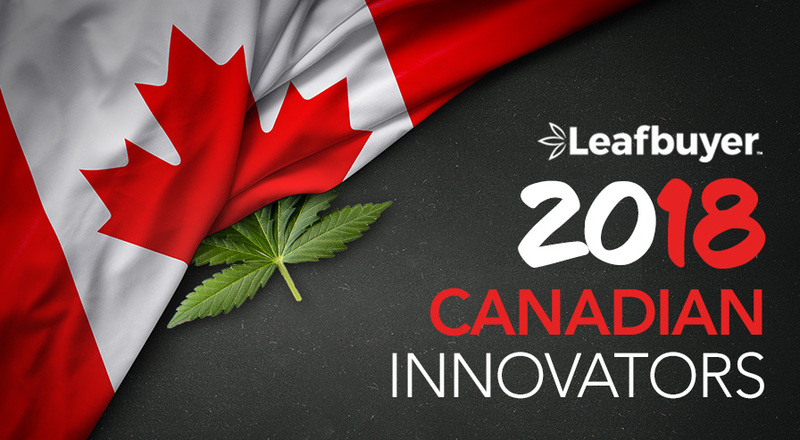 Through more than 100 hours of market research, Leafbuyer chose some of the most innovative companies in the Canadian cannabis sector. We are a company of firsts. In April 2014, Canopy Growth became the first cannabis company in North America to be publicly traded. We followed that with being the first to complete a "bought deal", to diversify our platform to include both greenhouse and indoor growing, to acquire a major competitor and to be listed on the Toronto Stock Exchange. Continuing those firsts, we remain the only cannabis company to be a member of a major global stock market index, in this case the S&P/TSX Composite index. Away from the markets, Tweed, a Canopy Growth subsidiary, was the first to introduce the now standard concept of Compassionate Pricing to make medical cannabis affordable for patients, and we remain proud to continue supporting a patient's right to grow at home by selling the widest variety of seeds in the legal Canadian sector. Our commitment to education has and always will be unwavering, as one of the first Canadian cannabis companies to offer Mainpro-M1 accredited continuing medical education programs to Canadian physicians, and to launch in-person assistance through our Tweed Main Street locations. Tweed was also the first Canadian producer to be approved to export dried cannabis to Germany, and our wholly-owned German subsidiary continues to offer an ever-increasing variety of products for sale through German pharmacies. 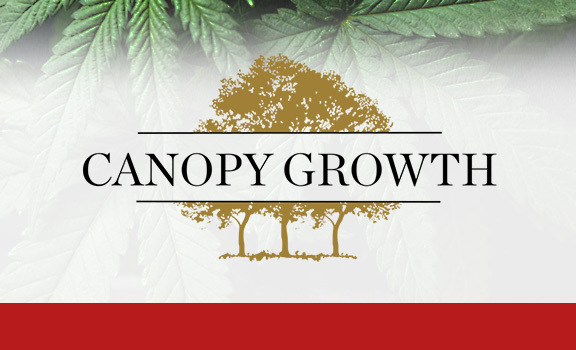 Canopy Growth was the first to strike a strategic relationship with a Fortune 500 beverage alcohol supplier to bring exciting new products to market with the help of the industry's largest investment to-date, $5 billion. We were also first to enter into ground-breaking supply agreements to sell adult-use cannabis to provincial governments across the country. In May 2018 we were the first cannabis-producing company to be listed on the New York Stock Exchange. What are you most excited for in regard your company's place in the market? From product and process innovation to market execution and everything in between, we are driven by a passion for leadership, a commitment to drive the industry forward, and above all else, providing medical and recreational cannabis consumers the best possible experience. We are excited to expand our company and our values into new regions and truly be the best cannabis company in the world. Where do you hope to see your company five years down the road? Our vision is to be the number one cannabis company in the world and the go-to cannabis company in Canada. If you had one piece of advice for those wanting to get in the industry, what would it be? If you're looking to get into the industry, be ambitious, work hard, and keep an open mind. We look for people who are constantly trying to do better and help those around them do the same. We want people who work well with others. What challenges do you anticipate your company - or the industry as a whole - will face? Our company is expanding and growing rapidly. In 2018, we expect to hire 2,500 new employees across Canada, and the numbers are only increasing. The most difficult part about growing so quickly is maintaining the corporate culture that we had when we started. What do you see as the most valuable opportunity in the Canadian industry? There are so many new opportunities in the Canadian industry. With legalization approaching, there is an untapped market full of recreational cannabis users. There are also so many new ways to consume cannabis. We want to disrupt the alcohol industry. We're working on cannabis-based beverages through our partnership with Constellation Brands. We want to disrupt the pharmaceutical industry. Cannabis can help with so many things. It is an alternative treatment for pain management that is much healthier than opioids and other pain killers. It also helps people suffering from insomnia fall asleep. Our goal is to perfect cannabis as an ingredient. We are doing more studies to ensure that our products are always consistent. Once we get a DIN we'll be able to supply consistent medication to our patients across Canada that will be covered by typical insurance plans. We're also working on cannabis as an ingredient in animal health products. Many older animals suffer from bad joints and excruciating pain. Other animals have anxiety issues and their owners can't leave them home alone. We're looking into cannabis derived medication for animals to help them manage pain and anxiety. How do you hope legal marijuana laws will change or improve? We hope that access will improve as legal cannabis laws change. Most Canadian physicians do not feel comfortable prescribing cannabis as an alternative to traditional medications. We want to work with health care professionals and the media to show how this is a legitimate medical product with many different benefits. Lift & Co. is like a "TripAdvisor" for cannabis. Our mission is to empower the industry - consumers and businesses - with data and knowledge so they can make educated, informed decisions. The company was founded on innovation - providing a platform for legal cannabis consumers to share their experiences with the myriad legal products in the medical market. From that beginning, everything we've done has been driven by finding innovative ways to bridge the gaps between consumers and businesses. The most literal example of this is our Lift & Co. Expos, which have become North America's largest consumer cannabis trade shows. Our most recent Expo in Toronto welcomed more than 20,000 people. Other recent innovations include our Cannabis Concierge - a tablet-based product recommendation tool - and spearheading a retail training program to arm front-line employees with the knowledge to educate cannabis consumers. 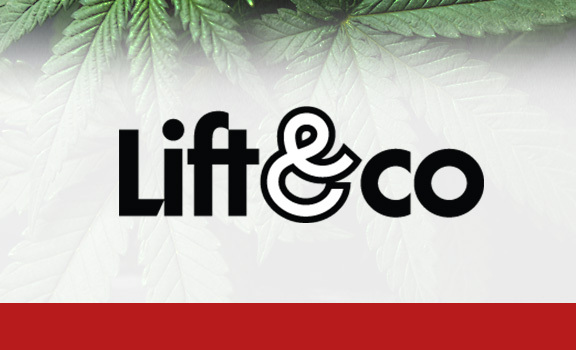 Q&A With Lift & Co.
We're on the cusp of a platform shift in the cannabis industry, where we're going to see ancillary companies get their moment and lead the next wave of investment. As of this interview, Lift & Co. is in the midst of going public on the TSX Venture exchange and we are ecstatic to have the resources to fulfill our company's vision to serve as the trusted authority on cannabis, globally. Right now, the industry is all about speed - there's a race for producers to shore up market share and grow quality product, and a race for brands to get their names out there ahead of Oct. 17. It's a bit like dog years - I've only been in the industry for six months, but it feels much longer than that. People looking to get into the industry should be prepared to learn on the run. Regulated marketing restrictions are a massive challenge that can't be understated. Creating brand awareness without the use of many traditional marketing tools is tough but forces you to get creative. We're leaning heavily on PR to help us get the word out. For the industry, I think the main challenges in the year after recreational legalization will be issues related to supply and transitioning millions of consumers away from the black market. I hope to see the loosening of restrictions on how brands can talk about cannabis. I hope to see the loosening of laws surrounding edibles and concentrates, which are going to play a huge role in normalizing cannabis use in Canadian society. I also look forward to seeing the efficacy of various provincial distribution models and how those will evolve over time. - Kerri-Lynn McAllister, Chief Marketing Officer, Lift & Co. 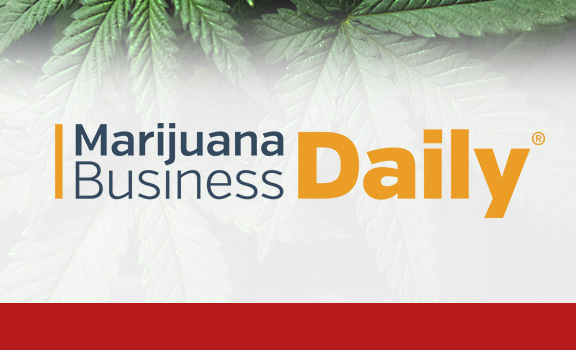 Marijuana Business Daily is the leading news and information website for the professionals, financiers, entrepreneurs in the cannabis industry, across the U.S. and internationally. Marijuana Business Daily is a proud member of the Associated Press and has been recognized by Trade Show Executive's Fastest 50, The Inc. 500, and Folio Magazine's Women in Media. We see our role as providing a platform for the industry to coalesce around, while providing trusted and reliable information, data, stats, and forecasts to empower business decision makers to make strong business plans that are rooted in reality. And, through the multiple conferences we hold each year, we provide a professional environment to gather and build networks. We're positioned at the center of this industry, helping to evolve the cannabis marketplace across the country and around the world. As we look to the future and the inevitable transition to a fully legalized U.S. marketplace, as a business news publication, we are excited to see how rapidly our readership and client based is growing. We're excited to help the industry grow. Over the past seven years, MJBizDaily has gained deep institutional knowledge tied to how this industry works and what types of information, news, and resources cannabis businesses need to survive and thrive. We initially focused on the U.S., but over the past year we've made significant investments into the Canadian and global markets. We're bringing all this experience and talent - including professional journalists and data analysts - to Canada so we can provide cannabis business executives and investors with information that will help them succeed...whether it's via news, research reports, or conferences. It's difficult to replicate what we do and to the level we do it. Don't think you can use the exact same strategies and tactics that worked for you in another industry to find success in this one. We've seen many people come in from other industries with a fair amount of hubris, and they don't adapt their strategies and approaches to the unique dynamics of the cannabis business. Or they don't take time learn how and why this industry is different. The result: They learn some hard lessons or fail outright. So, build a network and learn from people working in the industry at events like MJBizCon. The investment will pay dividends as it continues to transition from a small grassroots industry to a multi-national marketplace. What challenges do you anticipate the industry will face? The uncertainty tied to how the market will develop, how regulations might change over time and how quickly and efficiently government officials will move forward. This is all still a great experiment, and there will be bumps along the way. Canada is pioneering the cannabis industry in many ways, so there will naturally be challenges as companies, regulators, and the government figure out what works and what doesn't. There's really no blueprint for this. Canada is currently the global leader in the global cannabis marketplace. It seems clear that early movers in the Canadian market who have sound business strategies have the opportunity to truly lead global expansion in the foreseeable future. There are a number of segments and verticals within cannabis where people will be successful - our readers are particularly interested in investment information - but the greatest opportunity and probably also the greatest risk, is being a first mover. Is there anything you would like to expand on or add? Like many others, we entered this space with pure business goals. But professionals working in this industry can't remain blind to all the social justice and healthcare arguments for legalization. There are sick children, adults, and especially veterans who are really hurting. Cannabis is a real solution to their pain that they don't have free and legal access to everywhere in the U.S. like there has been in Canada and other countries. There are also the effects of the harms of the drug war against U.S. minority populations and abroad, and it's almost impossible to not want to take action. Our Industry Giveback program is one of the ways we as a company help address these issues. Namaste has developed and acquired innovative technology platforms including NamasteMD.com, Canada's first Health Canada compliant telemedicine application, and in May 2018 the Company acquired a leading e-commerce AI and Machine Learning Company, Findify AB. Findify uses artificial intelligence algorithms to optimize and personalize a consumer's on-site buying experience. Namaste is focused on leveraging its cutting-edge technology to enhance the user experience throughout its platforms. Namaste will continue to develop and acquire innovative technologies, which will provide value to the Company and to its shareholders, as well as to the broader cannabis market. We are excited to offer patients a better user experience. Everything we do is focused on developing technology and innovating our platform to provide a personalized experience for every customer and patient. Namaste is looking forward to launching Findify's AI technology to analyze patient data and to provide the most effective strain recommendations. We operate in over 30 countries globally and maintain large customer bases in emerging legal cannabis markets. We intend on launching platforms like NamasteMD and Findify in these markets and in bringing value to the industry through our technology. The biggest challenges will be in modifying our business strategy to suit regulatory requirements in each country. For example, telemedicine (via NamasteMD.com) is available and compliant in Canada for the purposes of issuance of cannabis prescriptions. We look at markets like the UK where we have a large base of consumers and where telemedicine is also legal to launch the same strategy. Variations of the model and the software will need to be adjusted according to each countries regulation. This is where we will be focused on developing these channels in our international markets after launching with cannabis sales in Canada. 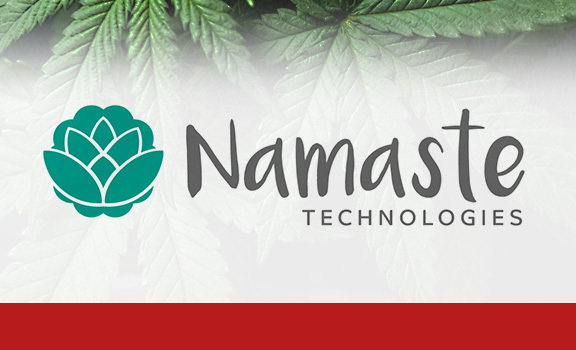 Namaste Technologies is "Your Everything Cannabis Store", we have been very successful in creating the largest global marketplace for cannabis ancillary products like vaporizers and intend on rolling cannabis, CBD, and edible sales into the platform in Canada and follow suit in other countries where we operate with the end goal of providing consumers with the largest variety of all things cannabis and to provide the best user experience possible. We are very much focused on the medical cannabis market. With pending legalization, we believe that there will be more longevity in the medical market while Health Canada expands its platform for medical cannabis in providing healthcare coverage for medical patients. We've also seen a number of insurance companies and employers coming on board with reimbursement for medicinal cannabis. The medical cannabis market has been well-established in Canada and we intend to revolutionize this aspect of the industry in offering a better online experience for patients. We're very excited moving forward in what we believe to be the most exciting industry globally. We are seeing a big shift in the stigma of cannabis on a global scale with many countries now accepting cannabis as a medicine and not only as a recreational drug. Namaste is well-positioned to leverage its advanced technology and global revenue generating platform to capture a large share of the global marketplace for cannabis products and accessories. 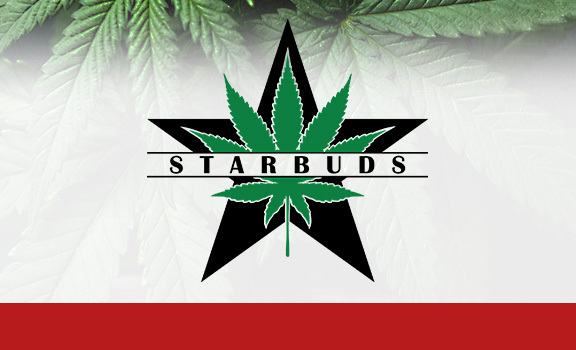 Namaste is a publicly-traded stock and the exchange and symbol are TSXV:N.
Starbuds is a retail cannabis brand with 12 stores in Colorado and one store in Maryland. We're opening new stores in many emerging markets, such as Massachusetts, New Jersey, and Louisiana, plus many more, and - most excitingly - in Canada. Our company is innovative in its approach to retail. We focus on the customer experience. Our customers are the focus of our company, and our stores are laid out in the most convenient way possible. Our budtenders are the best in the business - and can get you in and out quick if you know what you want - but they are willing and able to tell you about every product in the store, if that's what the customer needs. We are most excited about being one of biggest retail cannabis chains worldwide. By focusing on retail and having good relationships with cultivators and product manufactures, we can focus 100% on our core competency. The challenge ahead is to remain competitive in an ever-growing market and to continue to achieve licenses in the new markets. Each market is different with different rules and requirements. We see ourselves are being one of the most recognized most beloved brands with many new locations in the next five years. Our original store now has well over 1,000 Google reviews and a 4.8 rating. The most valuable opportunity in Canada was cultivation, but going forward, it is distribution that will be the most valuable. Large licensed producers are popping up every day, so the raw material will become a commodity. Distribution and brands are the future. Cannabis Culture is a pioneering cannabis business in Canada, which has been an innovator in the industry for 25 years. 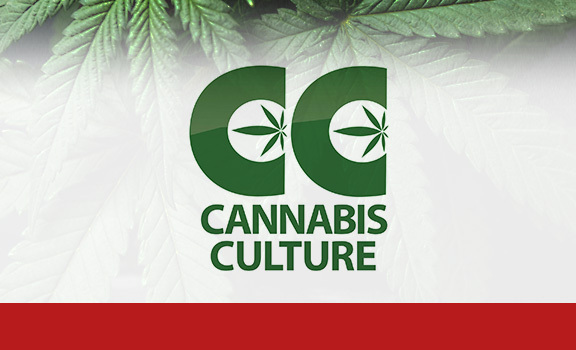 Cannabis Culture wants to protect and represent the cannabis community in an ethical way, demonstrate leadership, bring our brand to a wider community, and share with newcomers the history of the cannabis industry. Come at the industry with integrity and passion and respect for the history of the subculture that is becoming mainstream. Current regulations still do not allow for our participation in many aspects of the cannabis market. Prohibitive regulations make it difficult for us to strategize and grow our business. Legalize vapor lounges. Legalize edibles and extracts. No longer punish anyone for peaceable cannabis use. 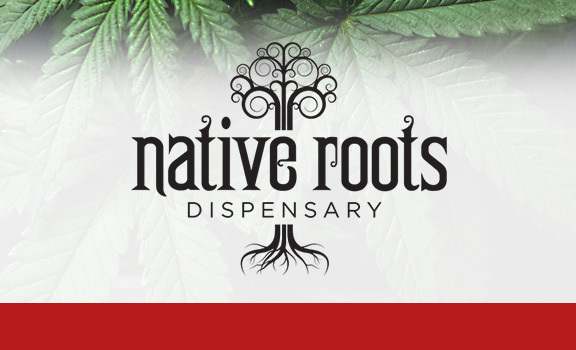 Native Roots stands tall among a burgeoning industry, ripe with partnerships, mergers, and acquisitions. A true Colorado-based innovator, Native Roots is expanding internationally, bringing along nearly a decade of operations with proven scalability. The company is the first U.S.-based organization to receive a license for brick-and-mortar dispensary locations for adult use cannabis in Canada. The company employs more than 600 individuals across 20 locations in Colorado and is known among the local industry as maintaining a rigorous employee training program. Not only are operations lean, reliable, and capable of delivering a customer experience worth repeating, they've performed extensive research and monitored market data for their entrance to the Canadian marijuana industry. Native Roots is set to offer the newly-legal, adult-use Canadian cannabis industry insider knowledge to ensure the utmost quality is kept. It is not the timely entrance and know-how allowing Native Roots to gain footing in Canada, the market analysis and optimization they have performed combined with the boost of confidence provided by key relationships and partners allows them the unfettered ability to grow their operations. Strategically, Native Roots has joined an alliance of synergistic partners to provide innovation and a lasting competitive advantage. Not only are these partnerships important to the combined brand, first-peoples, and Manitoba and Ontario natives are among the people collaborating with Native Roots. Under the brand "Garden Variety," Native Roots is contributing to the growth of the industry and the creation of jobs, all while developing a research-based scalable model. Avana Canada: It is an operator of over 1 million combined square-feet of greenhouse and production facilities. Fisher River Cree Nation of Manitoba: This offers a progressive platform to develop a sustainable business that is appealing and approachable to all Indigenous peoples and Manitobans. They are among few Indigenous peoples able to offer low-interest financing after receiving certification from the First Nations Financial Management Board. Chippewas of the Thames of Ontario: An alliance both based in consulting and solid strategy, Chippewas of the Thames of Ontario are a forward-thinking, yet traditional, community seeking to grow economically with trustworthy partners. MediPharm Labs Inc. of Ontario: Focused on pristine laboratories, MediPharms Labs has been a producer of medical cannabis oil, among other products, in Canada since 2015. In the time since, their research-driven approach has allowed MediPharm Labs to thrive, going as far as expanding into Australia. In 2016, Loblaws, a prominent grocery market operator that oversees brands like Dominion and Shoppers Drug Mart in Newfoundland & Labrador, began the process of adding medical marijuana to the employee health plan. This required the organization to develop supply partnerships with vendors such as Aurora Cannabis and Aphria - two of the largest producers of medical cannabis licensed under existing Canadian medical cannabis law. As of September 2018, these partnerships required Health Canada's approval. For the last three years, Loblaws has been working with various regulatory authorities in Newfoundland & Labrador, as well as Canadian Federal agencies, to secure the ability to retail medical cannabis. The plan shifted to include recreational cannabis sales, which fit easily as an extension of the licensure. For Loblaws and their brands Dominion and Shoppers Drug Mart, laws require the cannabis be removed from areas where children may be. To accommodate the law, stores will keep cannabis in small, existing tobacco shops behind the counter. These tobacco counters are commonly found adjacent the grocery store itself. While other grocery brands are sticking to what they know, Loblaws is pushing boundaries and innovating with the times. 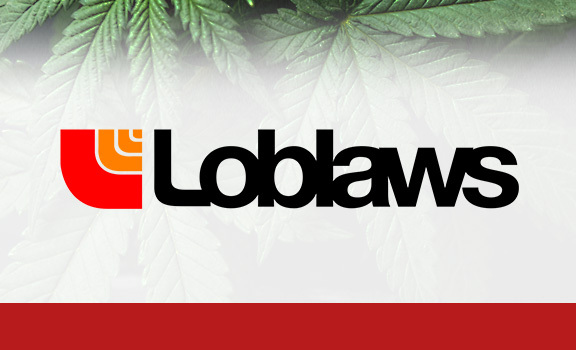 Loblaws is an innovator for diversifying employee health options with cannabis, as well as being a major non-cannabis chain to see value in the industry. With federal regulations allowing recreational consumption, the company is poised with brand awareness and consumer trust existing consumers to change perceptions of the place cannabis has in society. As of September 2018, 29 individual businesses were deemed as "qualified applicants" by Cannabis NL, a division of Newfoundland Labrador Liquor Corporation. More than one third of current license applications were for Loblaws. Many details are kept under wraps, as Loblaws and local regulators define many of the local statues under cannabis law in Canada. With three of every 10 "qualified applicants" being Loblaws, the grocer is positioned to succeed in the cannabis sector within Newfoundland & Labrador. Based in Vancouver, British Columbia, Salvation Botanicals began their endeavor into the cannabis industry as one of Canada's first fully-accredited cannabis analysis laboratories. Salvation Botanicals, extending the brand from lab analytics, moved next to the production of cannabinoid products by using the breadth of data, research, and understanding accumulated in their labs. 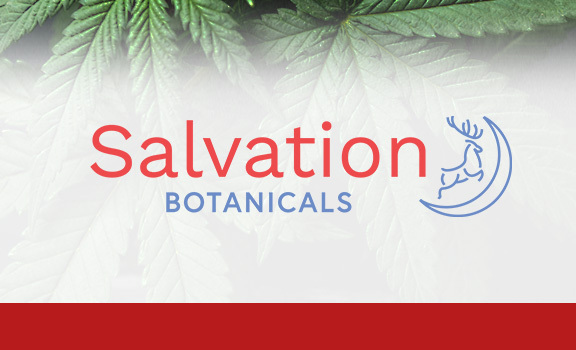 Now, Salvation Botanicals is poised to deliver high-quality products in legal medical and recreational markets across the world, while remaining focused on Canada, their primary market. Why Salvation Botanicals Made the Cut? Salvation Botanicals went great lengths to deliver only the highest quality hemp and cannabis-derived products. Salvation holds a rare Dealer's License, authorized under the Controlled Substances Act, providing them the ability to extract and produce cannabinoid-rich oils, sprays, and capsules under Health Canada guidelines. Health Canada approved Salvation an additional license, the Hemp Processing License (HPL). This license permits the production, sale, and export of hemp seed & grain and its derivatives internationally and domestically. What Makes Salvation Botanicals Innovative? Resulting from the success of their products, their licenses, and the scalability of their operations, Salvation has created a line of hemp-based products which can be widely distributed. The "Purely Hemp" brand includes hemp protein powder, hulled hemp seed, protein bars, hemp oil, and hemp butter. These are often exported to foreign markets. Salvation Botanicals, alongside Vulcan and ALQ have partnered with social media and poker star Dan Bilzerian and related brands to market in Canada. In June 2018, Salvation Botanicals announced a Letter of Intent (LOI) with American company Medical Marijuana, Inc. The company produces numerous CBD (cannabidiol) products and brands, including trademarks like Real Scientific Hemp Oil (RSHO) and Dixie Botanicals, and Cannabis Beauty Defined. By licensing Medical Marijuana, Inc. products, Salvation will bring expertise from the U.S. to Canada, leveraging its internal production capacities and create true synergy for consumers. Who Is Green Thumb Industries? Does the dispensary name "RISE" mean anything to you? Explosive growth plans may soon lead them into a state or city near you. Noticed by hedge-fund billionaire Leon Cooperman, RISE dispensaries have been on a streak, licensing dispensaries and facilities across the U.S., and building relationships along the way - an easy, trustworthy funnel to international success. Green Thumb has developed a network of more than 400 employees, spurned from successful financing and eloquent branding. Parent company Green Thumb Industries, operator and owner of RISE, has been developing a trusted network of providers allowing huge potential in Canada to be within grasp. By teaming with, acquiring, merging operations with, and adopting a scalable model, Green Thumb Industries can consistently and efficiently meet or exceed consumer and market expectations. Seeking Alpha, an online investment news and analysis website, shows Green Thumb Industries operating eight cultivation facilities and more than 50 dispensary licenses across Florida, New York, Pennsylvania, Illinois, Ohio, Massachusetts, Maryland, and Nevada. Thirteen stores are operational, with an additional seven expected by year-end. 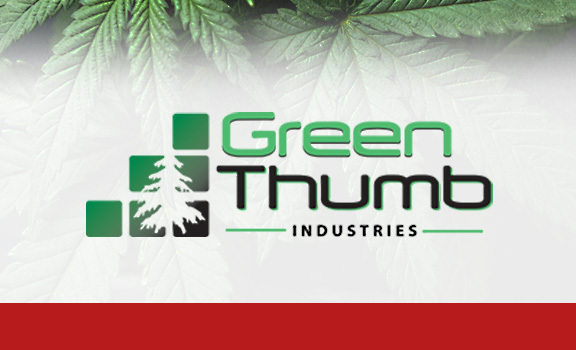 What Makes Green Thumb Industries Innovative? Green Thumb Industries is traded publicly on the Canadian Securities Exchange, with an IPO of C$8.95 in June 2018. As of September 2018, the stock had appreciated more than 200 percent, trading at C$19.60. Lean organizational ideals with a customer-centered, consistency-oriented approach makes Green Thumb one of the most operationally-diverse companies in the cannabis industry. Starting as a medical cannabis provider for patients in Canada, Organigram Holdings has been focused on providing the cleanest, most refined, cannabinoid-based medical products since 2013. After the announcement that adult-use, recreational consumption would be legalized in Canada, OrganiGram knew there was opportunity to make sure more people had access to high-quality products. OrganiGram focuses on growing organic cannabis – a feat from which most producers shrink away. From the soil in which they grow their plants, to the rigorous inspections each goes through, strict supervision keeps the bar high. Safe, high-quality product is this company's MO. Although based in Moncton, New Brunswick, OrganiGram announced through media releases their partnerships in the recreational sectors of several provinces, including New Brunswick, Prince Edward Island, Alberta, Manitoba, Ontario, and Nova Scotia. In New Brunswick, OrganiGram is allowed the largest allocation to any licensed producer for 5,000 kilograms per year. On Prince Edward Island, OrganiGram is tied with two other licensed producers for the largest allowed allocation at 1,000 kilograms per year. The company also has an agreement with Alberta Gaming Liquor and Cannabis Commission to be one of the first 13 producers allowed to supply the province. 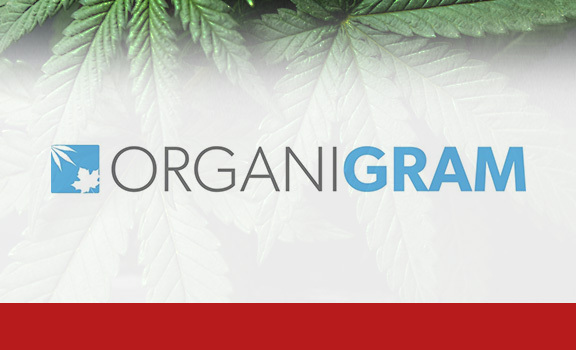 OrganiGram partnered with HIKU brands to supply Manitoba and is also licensed to supply Ontario and Nova Scotia, OrganiGram was chosen to supply the provinces. OrganiGram positioned itself as an innovator within both the medical and recreational cannabis industries.